The UAA Swimming and Diving Championships began today at Case Western in Cleveland. The women are in second place through day two finals with a score of 404 points. Emory leads the pack with 615 points, and Rochester is in third with 349 points. Third-year Becky Schmidt earned all–UAA honors with a second-place finish in the one-meter diving competition. She missed out on first place by 25.45 points to Kelly Dietz from NYU. During the preliminary swimming events on the morning of the 16th, Emory dominated the pool. Chicago finished with several third and fourth place finishes. Today, the Maroons will swim preliminaries in the morning session and finish with finals in the evening. The team will follow the same schedule on Saturday the 18th. On the men’s side, the Maroons are struggling in Cleveland. Through one day of competition, the team has accumulated one first-place finish, in a lone diving event. First-year diver Tony Restiano placed first in three-meter diving. He trounced his competition, beating NYU’s Austen Blease by 14.35 points. 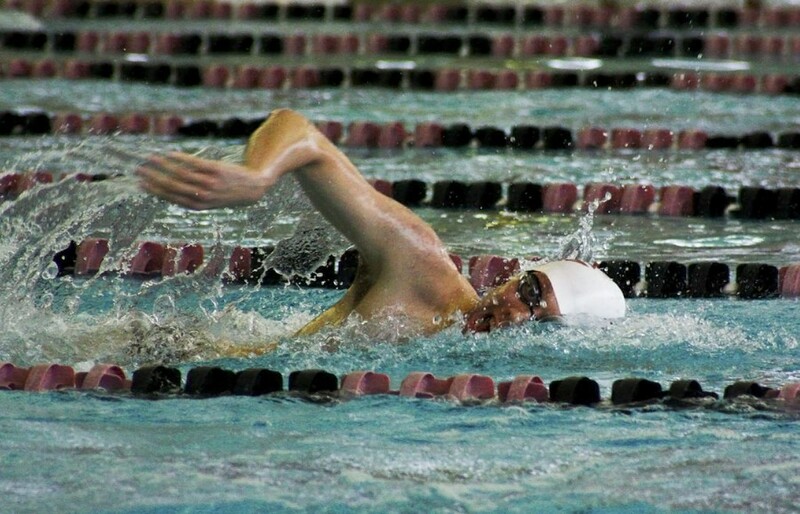 In Thursday’s swimming finals, the Maroons failed to accrue a single first-place finish. In fact, the highest place a Chicago swimmer or relay team achieved was fourth. Ranked second heading into the finals for the 200-yard IM, second-year Eric Hallman finished fourth. Emory’s Peter O’Brien finished first in the event. Chicago also finished fourth in the 200-yard freestyle relay. A team comprised of Hallman, fourth-year Marius Aleksa, fourth-year Nick Santoro, and first-year George Gvakharia came in behind teams from Emory, Wash U in St. Louis, and Case Western. The Maroons’ other fourth-place finish came in the 400-yard IM relay. The team of Gvakharia, Angeles, Aleska, and Hallman lost to teams from Emory, Carnegie Mellon, and Wash U. Beyond the two fourth-place finishes, the Maroons had one fifth-place and one sixth-place. Aleksa came in fifth in the 50-yard freestyle. In front of him were swimmers from Emory, Case, Emory, and Wash U, respectively. First-year Andrew Salomon finished sixth in the 500-yard freestyle, behind two swimmers from Wash U and three from Emory. As expected, Emory is dominating the competition. Chicago headed into this meet already ceding to the strength of Emory and instead hoping for second place. So far, that dream seems to be playing out well for Chicago. Though they have been lacking in first-place finishes, the team has been placing multiple swimmers in the A heats of many events. Thus, their point total has put them in second place at the end of Thursday’s competition, despite not having a first-place finish in the swimming events. Chicago will strive to pad their point total over the next two days. On Friday and Saturday, they will compete in numerous events, hoping to begin a more positive trend. The Maroons will try to build off past success in the 100- and 200-yard butterfly, the 100- and 200-yard freestyle, the 100- and 200-yard backstroke, and the 100- and 200-yard breaststroke. The Maroons will continue competition in Cleveland on Friday morning. The UAAs will conclude on Saturday evening. Check out live coverage of the events at athletics.case.edu.